Lazy stand-up comics and early morning Kathie Lees would have you believe that ladies love their wine. 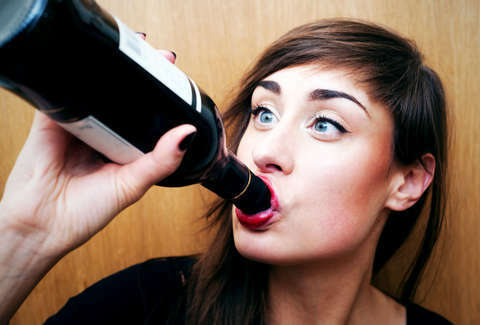 But that doesn't mean they've got expensive taste: according to a new study, women drink far more wine than men... but they also spend way less on it. Market research firm Canadean (insert your own Community joke here) reveals that men and women have very different wine-drinking habits. First off, men only make up about 41% of consumption by volume, while women claim a much heftier 59%. But interestingly, men tend to be the bigger wine snobs. Whereas women spent about $1 billion in pursuit of high-quality bottles, men racked up $1.8 billion doing the same thing. They also spent more searching for "new drink experiences", shelling out $2.4 billion to women's $2.2 billion. Canadean says this is because women buy wine to "relax and unwind", meaning they're more likely to buy a bunch of cheap stuff so they feel less guilty about the price, while men are all about the newest, most expensive variety. Clearly, there are a lot of different attitudes towards wining, but we can all agree on this: no matter how much you spent on your bottle, you should feel confident drinking it all in one sitting. Kristin Hunt is a food/drink staff writer for Thrillist, and sometimes buys the $12 wine instead of the $10 one to feel fancier. Follow her at @kristin_hunt.